GK Topic - Are we ready to debate On Caste-Based Reservation ? Read General Awareness Topic: Are we ready to debate On Caste-Based Reservation ? On Tuesday, March 29, 2016, Haryana Assembly unanimously passed a Bill to provide reservation to Jats and five other communities in government jobs and educational institutions. The decision comes just ahead of the April 3 deadline set by the community which had launched a violent agitation in February. The issue of Jat reservation, however, is far from settled as a day after the Haryana Assembly passed the Bill, a petition has been filed before the Punjab and Haryana high court challenging its constitutionality. In the past, courts have struck down Jat demand for inclusion in the other backward classes (OBC) in Haryana. A series of violent agitations in recent months in different parts of India by various communities to secure quotas in government jobs and educational institutions has rekindled the debate on social justice and ways to push inclusive growth among backward classes. The Jats, an economically and politically influential agrarian caste predominantly spread in Haryana, Western Uttar Pradesh, and Rajasthan, are not alone to demand inclusion in the Other Backward Classes (OBC) category. They are competing with Patels in Gujarat and Kapus in Uttar Pradesh to grab their share in backward caste pie. Like Jats, both Patels and Kapus wield significant political influence and are relatively well-off in their states. In fact, Patels are the most dominant trading community in Gujarat. But, the growing competition for inclusion as backward caste among India’s financially better-off communities highlights that the caste-based reservation policy may have outlived its utility to secure social justice. Our founding fathers envisaged reservations for SC and ST as a temporary solution to provide social justice to marginalized sections of populations. The policy was originally intended to last just a decade, but the successive governments not only kept extending it, but also expanded the definition of backward classes and their criterion for political reasons. Theoretically, at least half of the Indian population is in reservation pool, which has contributed to the ongoing fierce race to be recognized as more socially backward. From a few hundred the number of castes entitled to the benefits of reservation has gone up to more than thousand since independence. No caste group has ever been delisted from the backward category. Our policymakers have not been able to create and implement a quantifiable method to assess the advancement of several communities. Nevertheless, the strongest case or reason for continuation of caste-based reservation comes from equality of opportunity for marginalized and underprivileged sections of the Indian society. The system creates a level-playing field for disadvantageous groups which faced most cruel forms of discrimination at the hands of upper castes. More than economic advancement, the idea behind caste-based reservation is social empowerment and advancement. But, those opposed to reservation argue that allocation of quotas in itself is a form of discrimination for the present generation in reverse form. Two wrongs do not make a right. They also point to the fact that as communities compete for share in the reservation pie, the pie itself is becoming increasingly smaller. The Supreme Court has set a 50% cap on quotas, exceeding this is illegal. A lack of defined benchmarking of backwardness puts poor classes at disadvantageous position against upwardly mobile classes within a caste. In other words, the system is perpetuating a new form of inequality within castes. The policymakers recognize this and are busy creating sub-categories such as the Most Backward Classes (MBCs) to accommodate their demand. The supporters of reservation also point to the seeming success of the policy in broadening hiring base in the government sector and access to educational institutions. Now, more people from disadvantaged castes and groups are entering the elite government administrative posts and educational institutions, which is a social revolution in a country where a person’s birth status determined his tradecraft and economic status within the society. But, those opposed to reservation argue that instead of eradication of caste system, the policy has perpetuated the notion of caste as a separate identity which continues to undermine the efforts of more than six decades of nation-building. On top of it, the system has proved detrimental to meritocracy while becoming a tool to meet narrow political ends. 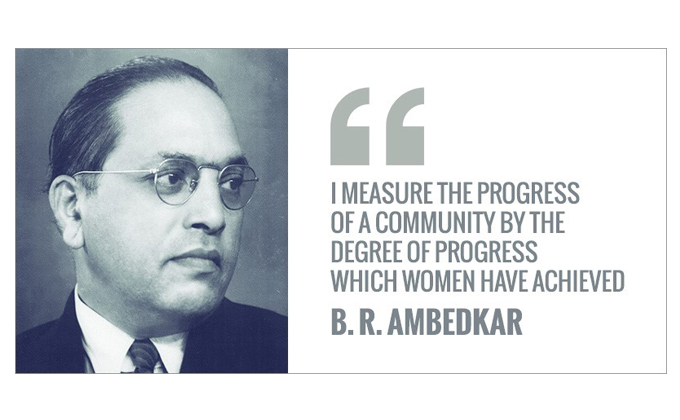 A growing tribe of sociologists, therefore, question the monopoly of caste as a benchmark identifier to target communities for achieving social and economic advancement. They support a comprehensive targeted action plan which takes into account multiple and diverse factors that create exclusion and poverty such as caste, economic conditions, gender, education, religion. In fact, the relative success of MNREGA in job creation and boosting rural income has opened the scope for adopting a new approach in achieving more inclusive economic growth for communities across India’s social spectrum. The results of economic welfare programs such as MNREGA would be more quantifiable compared to caste-based reservation, which, in turn, will help the government to take corrective steps. These schemes will make economic deprivation as the main factor to target communities for affirmative action and let government focus on more radical reforms aimed at job creation, GDP growth and skill enhancement. With an expanding private sector and more people looking for growth opportunities outside the government sector, a refreshed approach to affirmative action policy would help end discrimination, both social and economic.